Hero loves to come shopping with me, but sometimes he gets very bored in the trolley and as well behaved as he thankfully is, whilst he stays by my side in the shops, he gets a little bored and wants to help put things in the trolley. Dropping items into the metal trolley basket from a height never does them any favours and so we’ve been playing with the Casdon Little Shoppers Shopping Trolley this week. It’s perfect for pre-schoolers and comes in need of assembly, but with no batteries required [hooray!]. Pop three stickers onto the trolley and you’re ready to go! 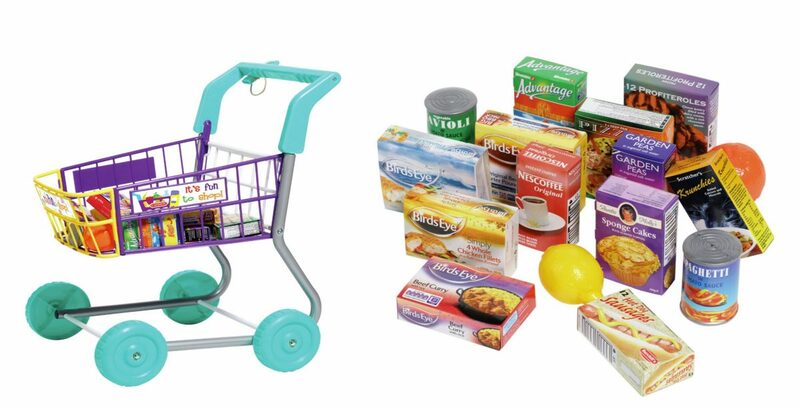 There are also three sheets of little cardboard food boxes, and a plastic orange and lemon to get the shopping adventure started! I loved the boxes as there was no glue required – and there are quite a few Birds Eye products that Hero recognised the packaging of. …the low price of £14.99! …that the front of the trolley was somehow supported – little people lean on things and the front of ours is dipping already. 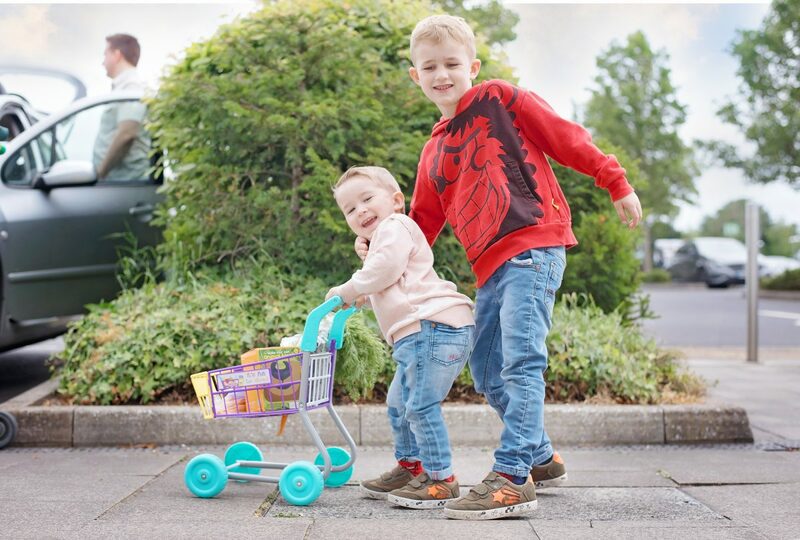 We love our Casdon Little Shoppers Shopping Trolley – and recommend it to every parent in need of a break in the supermarket – unless your little one loves running like they’re in Supermarket Sweep!